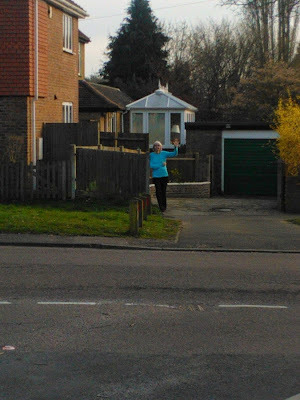 Althea Hayton, March 2014, at the womb twin capital of the world - the white structure is her Conservatory where many powerful breakthroughs occurred. I have a website dedicated to twin loss of all types. It has other types of loss on it as well but mainly twin loss. I post twin loss articles from other websites as well as touching stories. I also have my twin loss story on there with pictures. Click here to view. 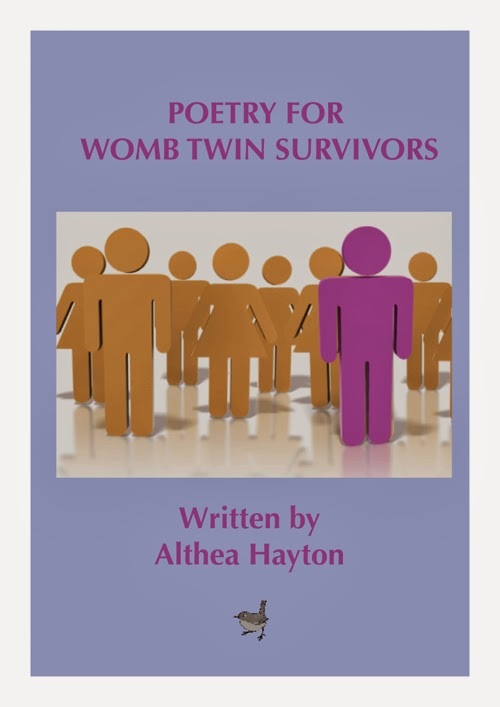 Hello everyone, I just wanted to mention that I posted a new blog to the "Womb Twin Blogs" page. The blog is in Spanish. Adrià has created this blog and did a very good job on it. Click here to view it. Because our earliest sensory ability to develop is hearing, even those who lost a twin in the womb very early will have sensed their twin thru their ears and skin, before they even have a heart or brain. The perception of sounds of blood, fluid, movement, and later heartbeats (twins/multiples, mother) are where the primary relationships begin. When a twin dies at this stage it can be such a shock to the surviving twin they become deaf as a way to shut down this channel of communication. Sometimes deafness occurs on the side where the twin was positioned in relation to the survivor. One day I was approached by a living identical twin who had mild separation anxiety about his twin, which the other twin didn't seem to have, and on this particular day he seemed to be having a bit of an existential crisis so we went to his safe place in the park and sat under a tree. He was mourning who they would have been if their egg hadn't split and they had remained one omnipotent human being! This was an unusual sense of loss for a living twin so we did some work to discover there had been another one, a triplet male, who he had been closer to. We arranged leaves in a pattern on the grass to resemble where each was positioned in the womb and identified that this was behind his crisis, he went back to work feeling better. Over the next couple days a miracle happened via technology and this person, who had always been deaf in his right ear, was suddenly able to hear with the help of Google Glass. Please read the incredible story (featured with his permission) here: http://www.fastcompany.com/3015749/voices-in-your-head-how-google-glass-lets-a-half-deaf-person-hear It is worth considering that by acknowledging the loss of this third one, just before his Google Glass experience, something moved him closer to hearing so that when the opportunity presented itself his defenses could allow this moment of hearing in. Or perhaps allowed him a happy rather than painful experience at the very least. When we release the repressed pain, it gives us new energy to make new possibilities in our lives. And this story continues to have a happy ending and new beginning…Congrats to David on his recent move to San Francisco. He has purchased 6 womb twin paintings to take with him as he thrives far away from his East Coast twin. Multifetal pregancy reduction - whats your opinion? Is anyone thinking about that, I ask? Not sure if you are a womb twin survivor or not? Start the healing journey today!